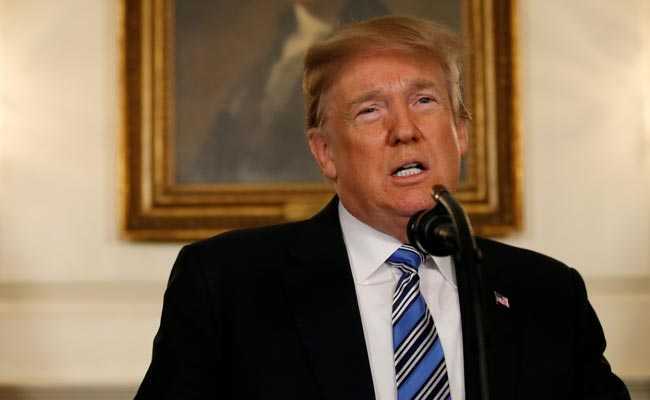 Donald Trump imposed USD 60 billion of tariffs on Chinese imports to punish the country for its "unfair" seizure of American intellectual property. President Trump imposed $60 billion of tariffs on Chinese imports to punish the country for its "unfair" seizure of American intellectual property, a move that could escalate the already tense trade relations between the world's two biggest economies. President Trump directed the US trade representative to level tariffs on about $60 billion worth of Chinese imports after a seven-month investigation into the intellectual property theft, which has been a longstanding point of contention in US-China trade relations. A senior administration official told reporters: "By some calculations, every billion dollar of trade deficit that arises from market-distorted policies, costs us about 6,000 jobs. A very conservative calculation, by some estimates, is that trade deficit results in about two million more jobs in China and two million less in US. This is a serious problem that the US side is keenly aware of". China's "unfair" trade practices has resulted in a goods trade deficit of $370 billion, the official said. Since 2001, when China joined the World Trade Organisation, its economy has grown from $1 trillion of GDP to $12 trillion; roughly an 800 per cent growth rate. Later State Department Spokesperson Heather Nauert said President Trump has been very clear from the first day on the campaign trail, longstanding concerns that he has and administration-wide people have, with China's "unfair" trade practices. "China has cheated, stolen and bullied American industry on trade for decades, causing massive economic wreckage to workers, employers and communities across America in the process. Our country must stand up against China's trade blackmail, so I am encouraged that the administration is focused on protecting the technologies that China publicly targeted," Mr Wyden said.